Alzheimer's disease is a devastating disorder that I have closely witnessed when my own grandmother developed dementia. While Alzheimer's disease is the prevalent dementia in the elderly population, we still don't know what causes this disorder and there is currently no effective treatment or cure for this disease. I am working in collaboration with many international laboratories to elucidate the mechanisms that lead to this disorder, with the understanding that this step is critical to finding a novel approach for treatment. Our recent experimental research has generated a lot of clinical interest since it suggests that supplementation with certain folate-derived compounds could help slow down cognitive decline. Our goal is to find a novel safe treatment that could delay the onset and prevent the progression of Alzheimer's disease and dementia. I am currently working towards elucidating novel mechanisms by which deregulation of certain body metabolic processes can affect brain function and promote dementia. Targeting those new mechanisms would provide novel therapeutic avenues for Alzheimer's disease patients. Associate Professor Sontag completed her PhD in neuroscience in Strasbourg, France, and obtained a Fellowship from the JDF Foundation for Alzheimer's Research in the USA. She then established her own laboratory in 1996 in the Department of Pathology at the University of Texas Southwestern Medical School in Dallas. While developing her own research program on Alzheimer's disease, she started collaborating with many neuropathologists and neurologists. Associate Professor Sontag became a senior member of the Alzheimer's Disease Center of Dallas, a government-funded, dedicated centre for clinical studies on Alzheimer's disease. 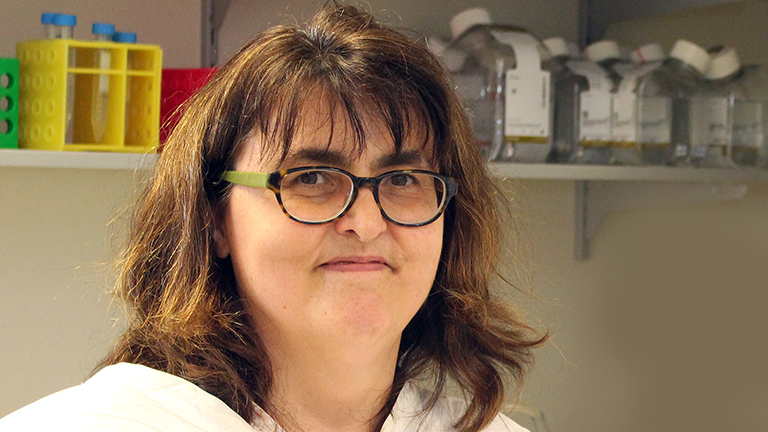 During that time, she participated in analyses and genotyping (characterisation of genes) of brain tissue, which allowed her to discover new mechanisms involved in the development of Alzheimer's disease pathology. Since mid-2009, Associate Professor Sontag has been with the University of Newcastle as an Associate Professor of Medical Biochemistry. Besides teaching medical and biomedical students, she is pursuing research on Alzheimer's disease, in collaboration with two national and three major international laboratories. In recent years, her experimental work has helped to unveil a novel link between dietary folate deficiency, vascular and genetic risk factors, and pathological markers of Alzheimer's disease. This work was presented at major international conferences and has gained a lot of attention. It has informed the development of new trials in elderly patients with folate derivatives and other related compounds. While preliminary data from these ongoing clinical studies are very encouraging and show that these compounds can indeed slow down cognitive decline and brain atrophy, researchers are striving to refine current understanding of the disease process to further develop and validate these novel therapeutic strategies for Alzheimer's disease patients. University of Newcastle Preclinical Neurobiology Research group.